Tim & Shaun got back from their little whirlwind tour of South Beach Miami, FL last week for one of the biggest parties in the United States! 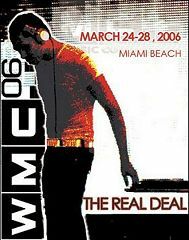 Every year The Massive descends on Miami for a week that is regarded as the singular networking event in the dance music industry. Attracting professionals from over 60 different countries. it is definitely a week to see some of the biggest and best acts in the world. Every aspect of the industry is represented including the top technological innovators, artists, DJs, producers, radio and video programmers, retailers, distributors, audio manufacturers and many more. There are countless reasons why people from all over the world return year after year for this event, but the biggest reason... is just to get their groove on! That is exactly what the guys from phocas.net did this year. It looks like they had a great time down there and they brought back a ton of photos from a wide range of events. They are still trying to sort it out and haven't had an opportunity to write, so we will just let their photos tell you the of the story! Visit the gallery for the full set of shots from over 20 different events!